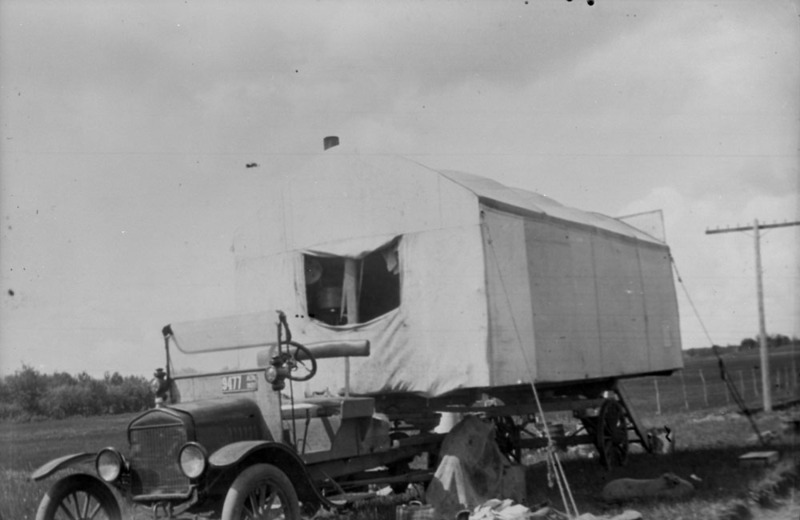 Land survey support vehicle and cook on the Alberta prairie, 1922. Comfy! Captioned "Cook tent on Ford truck, Vegreville, Alta." 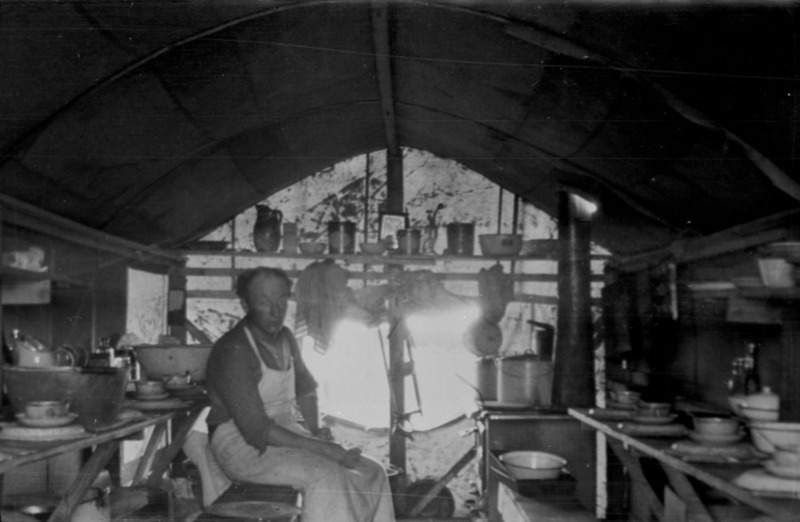 and "Interior of cook tent on Ford truck, Vegreville, Alta." Looks like a bunch of beans to be served. I'll bet it was hard to keep everything in it's place in the early semi trailer! Nice picture and thank you! Bud. I believe the Alberta plate is a 1920. I am always amazed at the ingenuity of Ford users. Could be later but the proportions look like 1920 to me. Good eye, Rich, I'm sure you're right. 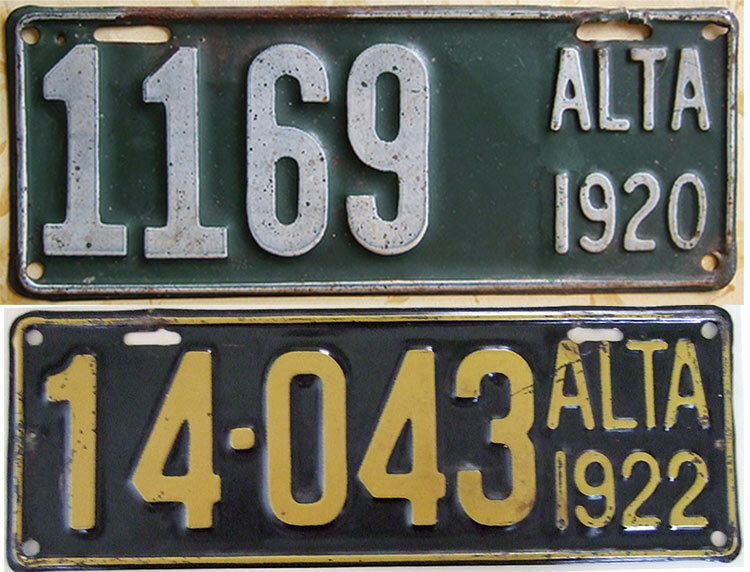 Are those Alberta plates in your collection ? The cook shack wagon seems to be a fifth wheel hitch to the Model T. The wagon rolls on steel-tired farm wagon wheels with a timber axle. Wonderful photos !! Thank you again for posting, these old pictures make my day !! 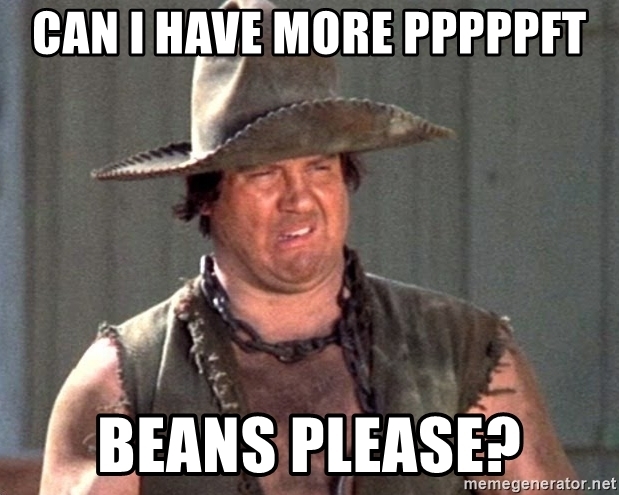 Nope, I just snag them from the internet. Likewise, these photos are just like a shot of MMO to me. Neat picture. Thanks for sharing! Dale W. - What an interesting pair of old photographs! That's a pretty elaborate set-up for sure! Looks like on a cold and rainy day, the "hired hands" would eat inside, as the second picture looks like place settings for at least eight,....maybe two more up closer out of view of the camera. Pretty fancy too,....almost looks like real "honest-to-goodness" bone china shallow bowls for beans or stew, and soup bowls for soup at lunchtime or oatmeal for breakfast, huh? I wonder if, when there are eight or ten guys inside at "chow time", if those staked out guy wires (ropes) had to be tightened up a bit to keep the cook house on an even keel,....??? I'll bet it could be pretty "cozy" in there with that wood-burning cook stove on a cold and rainy day, but I'll bet that cooking in there could also be pretty miserable on a hot day! One other "supposition,.....I'll bet that cook really dreads "moving day", when that outfit has to be relocated. Just imagine how that rig must ride over rough logging type dirt roads, or, maybe sometimes no roads at all! After all, consider that this was a support vehicle for a surveying party! I can't imagine trying to secure all that cooking gear for travel,....including "bone china" no less!